Make Time For Wiltshire … And plenty of it! 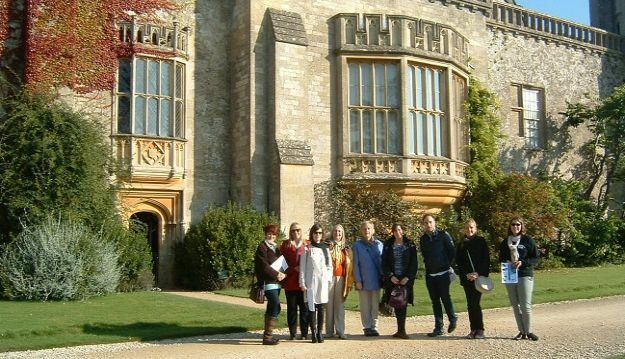 Karen Wright recently attended the excellent VisitWiltshire Travel Trade Familiarisation which offered an enjoyable and very informative taste of just how great Wiltshire is for group visitors. Superbly and carefully organized by Flo Wallace, of Visit Wiltshire, the tour itinerary offered a tempting, compelling and sometimes surprising insight into group touring around this unspoilt county and Flo did a great job of inspiring, informing and controlling the attendees. Thank you Flo! The fascinating themes – filming tours including popular Poldark and Wolf Hall – magnificent Houses & Gardens featuring Capability Brown’s tercentenary and wall to wall history. Coach operator, Andrew James of Malmesbury, did a stirling job of ferrying the group around, which enabled them to fully enjoy the breathtaking scenery along the planned itinerary. Thank you to cheerful Dan the driver, for your time, patience and information along the way. The happy group, which included members of the press, group travel organizers, coach and tour operators all had a truly eye-opening experience of how welcoming and group friendly this beautiful county really is.The tour congregated at the Best Western Angel Hotel at Chippenham on Sunday afternoon. The hotel was originally a 17th century coaching inn and has been extensively refurbished to offer the best in comfort and service. Group travelers are warmly welcomed and group rates are available. Tel: 01249 652615. First stop was unspoilt Bradford on Avon offering a mix of delightful shops, restaurants, hotels and a weekly market. The walk to Tithe Barn (where Wolf Hall was filmed) to meet Simon Relph at the Preservation Trust and Cllr Mike Roberts was delightful and a chance to enjoy this lovely historic town. A truly delicious afternoon tea was served at atmospheric and award-winning Bridge Tea Rooms Tel: 01225 865537 . Then it was off to Great Chalfield Manor – where Wolf Hall was filmed. We were welcomed by Robert Floyd and enjoyed a guided Manor tour and a look around the gardens. All returned happy to the Best Western Angel Hotel in Chippenham and tucked into a Welcome dinner. On Monday, the day started in the quaint and atmospheric town of Corsham. It was fascinating to see where Poldark was filmed and visit lovely Corsham Court, a Royal Manor House with it’s amazing collection of Old Master Paintings. Simon our guide and Rachel of Corsham Town Council then took us on a fascinating walking tour to finish at the Town Hall to look at the Poldark photographic exhibition and a very welcome cup of coffee. It was brilliant to follow in the footsteps of Poldark’s Aidan Turner and since the airing of BBC One’s hit drama, visitors have been attracted to the film location, where Corsham played a starring role as “Truro”. Hailed as the real star of Poldark, visitors to Corsham have enjoyed admiring the Georgian scenery along the High Street and Church Street, which attracted the programme makers to the town. Plan your visit in advance online and find all the information you need for a trip to this beautiful town, from where to stay, play, eat and shop to what’s on in the local area. The website is kept up to date with live feeds from the Town Council’s Facebook and Twitter pages and also includes a Town Guide together with information on transport links in and around the town centre, accommodation and restaurants. Corsham is also a magical town to visit over the Christmas period with, great shopping, entertainment and gorgeous Christmas lights.Also ensure you pick up your Susie Brooks Illustrated Corsham Map. It’s perfect to promote the town as a visitor destination and is available throughout the town. There was then a short drive to beautiful Lacock Abbey – Birthplace of photography, famous film location – Harry Potter, Pride & Prejudice and Wolf Hall – with its magnificent Cloisters, great hall and gardens. Lacock historic village also offers welcoming places to eat, shop and stay. The next treat was a tour, talk and lunch at splendid Bowood House & Gardens. Bowood has been home to Lansdowne family since 1754 and its mix of historical treasures and beautiful surrounding is sure to impress your clients. The house lies within one of Capability Brown’s most stunning and unspoilt landscapes and a guided tour is a must. Next stop was lovely Longleat and we enjoyed an entertaining Capability Brown tour including visit to Longleat House. During 2016 Longleat will be celebrating the 50th Anniversary of the safari park and it will be a great time to visit. There are some fabulous tours and ticket types available which are sure to please groups of all ages. 2016 is a special year for Longleat which starts with the Chinese New Year as they celebrate the Year of the Monkey. During the Easter period they will take time to mark the 50th year since the famous ‘Lions of Longleat were welcomed to Wiltshire. In the summer they pay homage to their wonderful animals during ‘African Summer’ with live shows and spectacular parades telling the story of the park and its famous inhabitants. The year will then come to a close with the unmissable winter treat that is The Festival of Light, back for a third successive year. …latest news from Longleat…a trio of Humboldt penguin chicks has hatched for the first time. All three chicks, born recently, are doing well and keepers at the Wiltshire wildlife attraction are confident more are due to start hatching out over the coming weeks. Group rates for 2016 are Adult £23.50; Child (3-15) £17.45; Senior £18.45. Group rates are available for groups of 12 or more people. Longleat also offers a complimentary Organiser Ticket for a group of 30 or more, and a free coach driver ticket plus meal voucher for every coach operator booking. The happy but tired group were then driven for a relaxing overnight stay in Salisbury. 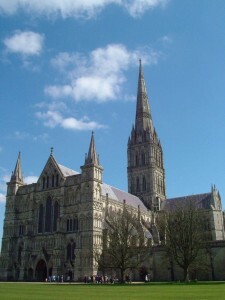 The Cathedral Hotel is a modern hotel within a historic building in the heart of Salisbury. The Milford Hall Hotel is a family owned, 18th century Georgian house extended to offer 45 rooms. Dinner was enjoyed at The Market Inn, fully refurbished and offering contemporary surroundings and an extensive menu. Medieval and welcoming, Salisbury is the perfect fusion of ancient and modern with the awe-inspiring Cathedral described as “Britain’s best view”. Bursting with amazing attractions and great things to do including quality arts venues such as the Salisbury Playhouse, great shopping, fascinating museums, stunning gardens and a huge range of eating options, Salisbury also has a market on Tuesdays and Saturdays. On the last day of the familiarisation itinerary the group enjoyed visits to Salisbury Cathedral & Magna Carta with a tour of the magnificent Cathedral and the Magna Carta 800th anniversary exhibition. Afterwards, a tour of Arundells, (www.visitwiltshire.co.uk/thingstodo/arundells-p640153) Sir Edward Heath’s home, was enjoyed followed by a visit to the Queen Anne – style Mompesson House with its lovely courtyard garden, used in the film Sense and Sensibility. A traditional British Lunch was enjoyed at Sarum College before a tour of the accommodation. The itinerary was superbly rounded off with a visit to Stonehenge with a look around the Visitor Centre after a visit to the stones.